The Man in the Moon Bubble Bar is the Lush product I have been wishing for ever since I took my very first sniff of the Calacas shower gel. I don’t think I have ever been as excited finding out the scent of a Lush product before. 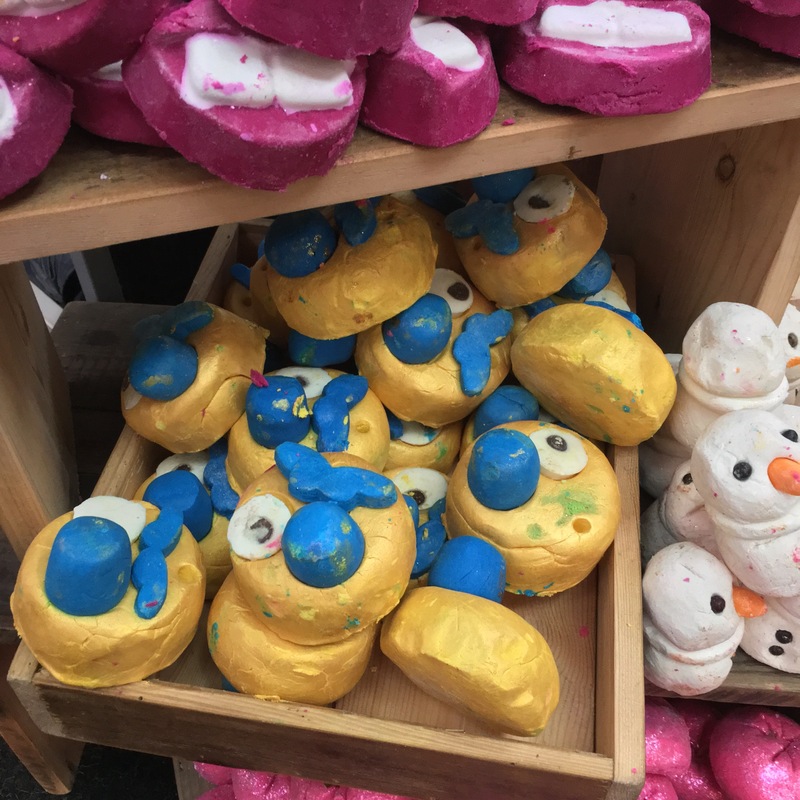 The Calacas scent is one of Lush’s most popular, so much so that it completely baffles me as to why Lush hadn’t brought a Calacas scented bubble bar out long before now. Much like the new Plum Snow bubble bar, the Man in the Moon Bubble Bar is a lot bigger than I had anticipated, a bigger sized product always pleases me as I love getting more for your money, who doesn’t? Another thing that has impressed me in regards to the Man in the Moon bubble bar is how a little amount of it goes such a very long way. 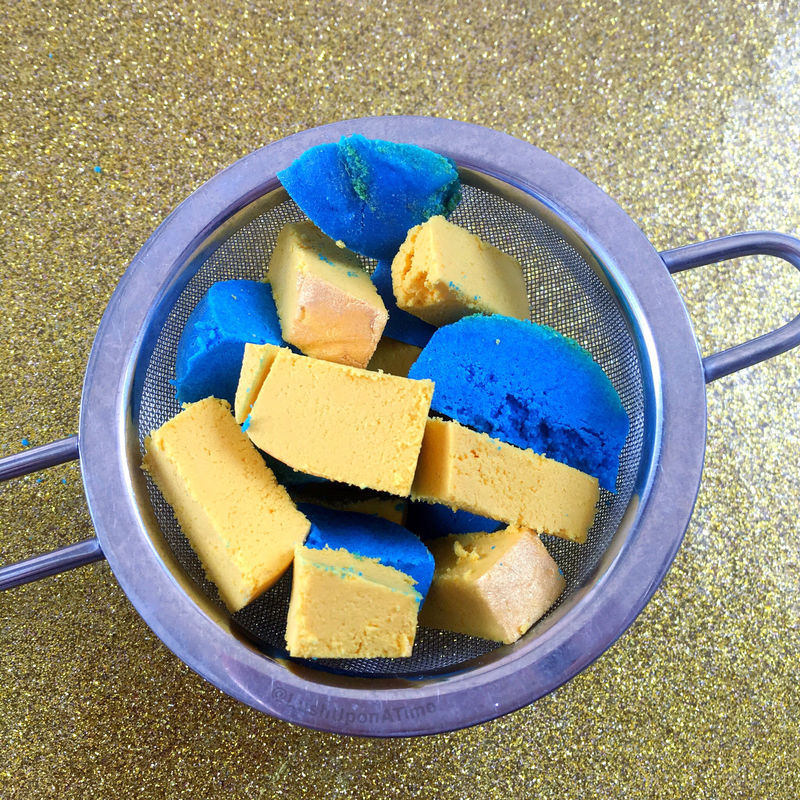 As time has gone on, Lush seem to have perfected the skill of making their bubble bars go further and further, with most of the new bubble bars it is now possible to use them several times without any drop in its quality or performance. Lush have thought very hard about the design of this bubble bar. Made to be a full moon with a face it has some rather distinguishing features such as its Victorian era moustache and monocle. The whole idea behind the bubble bar is said to be inspired by a creepy silent-film made in France back in 1902. If you take on board what happened in said the short film you’d know that the monocle is actually a rocket that has landed in the ‘man in the moons’ eye, eeek!!! 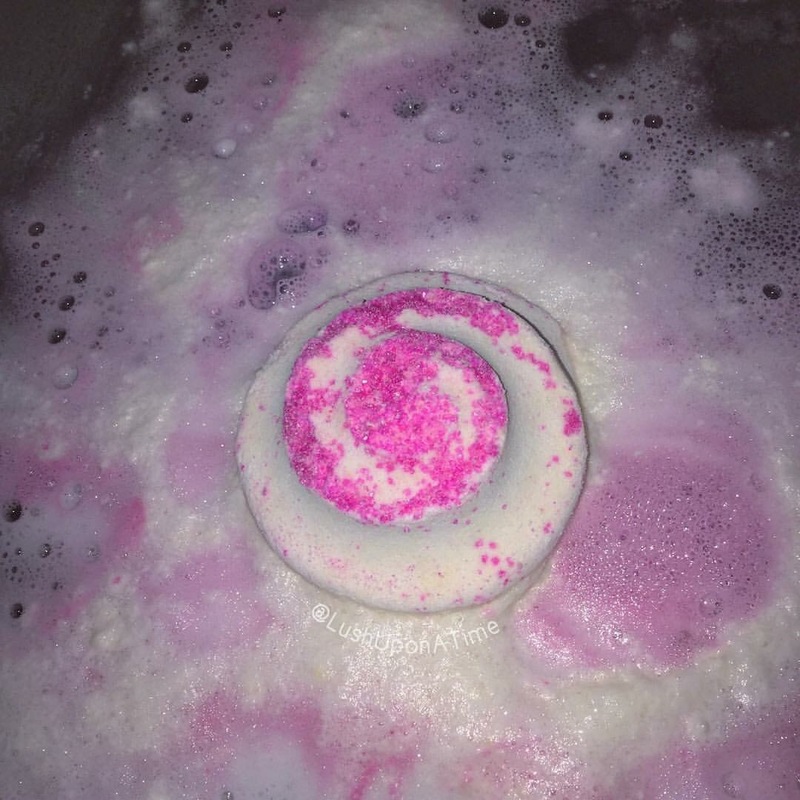 I’ve heard a few people say that the Man in the Moon bubble bar smells identical to the discontinued Oxford Street exclusive, the Man in the Mushroom Mask. My nose however doesn’t pick it up at all. I personally think that the Man in the Mushroom Mask smells like almonds and caramel, which is far from the fruity lime that Man in the Moon’s scent offers. Regardless, scents can come across differently to different people so I am not saying I’m right and they’re wrong, both products scents are favourites of mine but for me the Man in the Moon bubble bar is Calacas scented through and through. As mentioned above, the smallest amount of the Man in the Moon bubble bar goes a very long way. I can get 4 more than generously bubbled baths out of just the one bubble bar. I’d go as far as to say that spreading it over just 4 baths is in fact a little wasteful, that is unless you feel like overindulging in bubble bath heaven. Which is something I am more than happy to do with any Lush product that is Calacas scented. 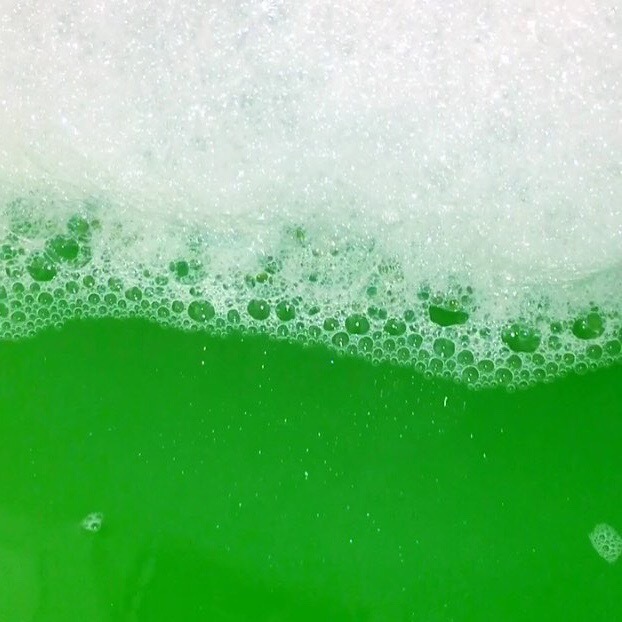 Underneath the blanket of bubbles is lime green, silky smooth water. My skin always looks and feels it’s best after a long and relaxing soak in a Man in the Moon Bath. My most favourite thing about the Man in the Moon bubble bar is how its scent stays with you so long after using it. Paired with the Monsters’ Ball bath bomb (which also shares the Calacas scent) makes the most perfect bath. Just writing about the combination is making me want another Calacas themed bath right now… I am obviously head over heels in love with this bubble bar and it is one I will most definitely be stocking up on before winter is through. When I first see the Bubble Spinner Reusable Bubble Bar on Instagram I wasn’t going to get it as I was determined to start saving some money for when Lush release their Christmas line later this year. Once I learnt of its ingredients I however changed my mind and grabbed 3. With lime, grapefruit and lemon oil in the Bubble Spinner was right up my street, there’s nothing I like more than a bright and cheery citrus scented bath product. 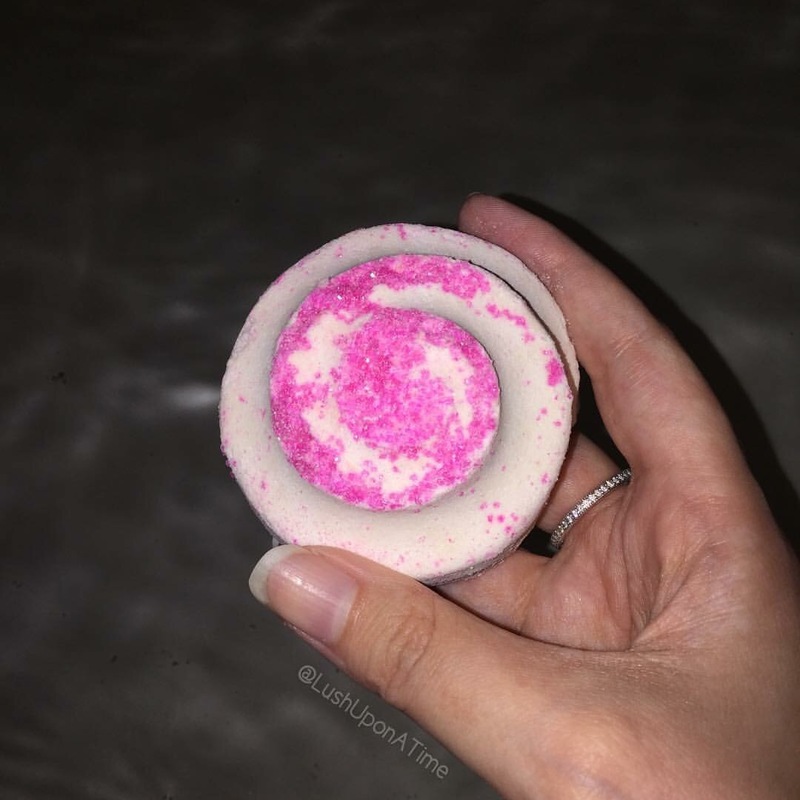 The Bubble Spinner is a reusable bubble bar, it has a wooden pin in it that allows the bubble bar part of it to spin either in your hands or as the tap water hits it, kind of like a water mill. It has 3 spokes one pink, one blue and one yellow, these are all connected together by a white inner ring. Reusable bubble bars are slightly different to the normal bubble bars, you don’t have to break a reusable bubble bar up to use it, you simply run it under the tap to create bubbles. Once you have the desired amount of bubbles you then put it somewhere it can dry off, ready for the next time you want to use it. As the Bubble Spinner is submerged with water running out of the tap, its scent really hits you. Anyone who has read any of my previous reviews will know that I have a soft spot for the citrus scented products. To me, Bubble Spinners scent is the perfect mix of the Dragon’s Egg and Cheer Up Buttercup bath bomb. Sometimes I find that the reusable bubble bars don’t create quite as many bubbles as the ordinary ones do, I found that with Bubble Spinner this wasn’t the case. I got 3 very generously bubbled bubble baths out of just one Bubble Spinner. Another trait that reusable bubble bars have is that they don’t create as vivid colour water, this wasn’t really a huge issue with me for Bubble Spinner as the scent won it over for me. Another thing that impressed me about the Bubble Spinner was that its scent lasted throughout the whole bath. It also lasted on my skin although once I got out of the bath my skin wasn’t left as well nourished as I’d have liked, if the Bubble Spinner was just a little more moisturising I’d go as far as to say that it would be one of my favourites. I know Lush are notorious for bringing out copious amounts of citrus scented products and because of this, some fans get frustrated. It however wasn’t until I started using Lush that I realised there are so many variations of citrus scents. The Bubble Spinners scent has really, really impressed me and it is probably my favourite of the reusable bubble bars that I have tried so far. If you’re looking for a product that will brighten your mood while also waking you up then I’d definitely recommend giving this bubble bar a go. It is a part of the ‘Yummy Mummy’ scent range which if you’re not familiar with includes products such as the Roller bath bomb, Peeping Santa bubbleroon and Flutterby bubble bar to name just a few. Although I say they share a scent, I find that this Lush-scent-family in particular does differ ever so slightly depending on the products format. For example the Mrs Whippy bath bomb (in my personal opinion) isn’t as sweet as the Roller bath bomb is, its scent is far more sharp. The first thing you notice about the Mrs Whippy bath bomb is how strong its scent is, considering it is a smaller than average Lush bath bomb it has some serious clout when it comes to its sugary, sweet fragrance. It instantly fills a room with its scent, spreading hints of deliciously rich blackcurrant and fresh strawberries wherever it goes. You can see in the above picture how tiny the Mrs Whippy bath bomb is, at first I was a bit taken aback by its small size. 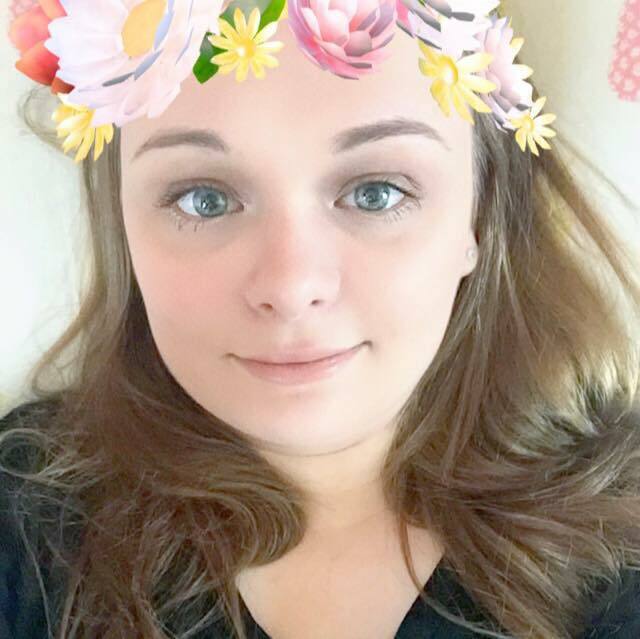 In my head I was thinking that this size bath bomb would normally retail at the same price as the Butterbear or Ickle Baby Bot bath bomb however at the time of drafting this review (28th March 2016) it currently sells for £4.00 which in comparison to other small, Lush bath bombs is very expensive! Although the Mrs Whippy bath bomb is a bit on the small side, I was surprised to see that it was a slow fizzer. No, it doesn’t give off the bath art that a slow fizzing bath bomb normally would but it is still incredibly therapeutic to watch as it slowly bubbles away. This leads me into the question of, is it worth the extra pennies seeing as it is such a small size? I’ll hold my hands up and say Mrs Whippy doesn’t have the wow factor that the Roller bath bomb has. Its scent does however stay with you through out your bath and stays on your skin for the best part of the day afterwards too. Slowly but surely the Mrs Whippy bath bomb fizzles away, as it does it softens the water with all of its skin loving ingredients. Containing a mixture of cocoa absolute and soya milk it leaves your skin silky smooth. Is this bath bomb as good as the hype makes out? Yes and no. It all depends on what you look for in a bath bomb. If you want a big and visually colourful showcase of a bath bomb then Mrs Whippy probably isn’t a bath bomb you’d be head over heels for, it does however have other great qualities, for example its scent and how it soothes your skin. If you’re looking for a calm, refreshing and relaxing bath then Mrs Whippy is right up your street, it’s perfect to sit back and relax in and it really does do wonders to your skin. To be completely honest with you all, I am literally so overwhelmed by all of the amazing Lush products that have been available over the last 18 or so months, I just simply can’t keep up. The first question that springs to mind when people first come across a Mumkin bubble bar is ‘What’s it supposed to be?’ I talk a lot in my sleep and last night I apparently told my fiancé that a ‘Mumkin is like a pumpkin but nice.’ .Hearing that, I couldn’t help but want to do my Mumkin bubble bar review today. It was obviously meant to be. A Mumkin isn’t anything like what I described while asleep. Lush in fact describe it as an unknown, friendly, cute and curious creature. With its big brown, dairy-free chocolate chip eyes how can you resist? Decorated with a yellow star on its deep pink head, a green leaf and a marshmallow-like stalk, the Mumkin bubble bar is more than unique. My inner child soon disappeared when I first smelt the Mumkin bubble bar, I didn’t care that it had eyes I just had to get it into the bath! The Mumkin bubble bar has a floral bergamot and gentle raspberry scent. I can’t actually think of another Lush product that even has a similar scent. On paper the Mumkin bubble bar sounds as if it would be very similar to the Rose Jam scent, it is however nothing like Rose Jam. Mumkin has a soft zest that mixes perfectly with its ingredients. Bergamot, Sicilian lemon and violet leaf oils blend so beautifully together, I can only hope that Lush use the Mumkin’s scent in future alternative products such as a Mumkin shower gel, solid shampoo bar or even a bath bomb. The Mumkin bubble bar creates copious amounts of silky-smooth bubbles, its unique aroma gently, intensifies as the bubbles multiply. Buried underneath the canopy of the fluffy white bubbles you will find warming-orange-tinted water. I always use a sieve for my bubble bars as unfortunately I don’t have a mixed tap. I have the choice of a scolding hot tap or a freezing cold one. In the sieve I like to run it under the hot tap as I feel that makes the most bubbles. I however find that not all bubble bars work in the same way. Some work best in a sieve if crumbled up (as above) where as others work better in a sieve in chunks. In regards to the Mumkin bubble bar, after much trial and error I’d probably advise you to sieve it in chunks. I found that crumbling it up weakened its beautiful scent somewhat. As for the Mumkin’s bubble bars ability to freshen up my tired and often dehydrated skin, I wholeheartedly recommend it. Not only is my skin soft and hydrated, it also feels refreshed and ready to face the rest of the day. I really hope that Lush Cosmetics use the Mumkin’s scent in alternative future products, ever since I first tried the Mumkin bubble bar I haven’t been able to stop eating raspberries. I fear that if I don’t stop eating them soon I will turn into a Mumkin!